Features a 4.70 in. 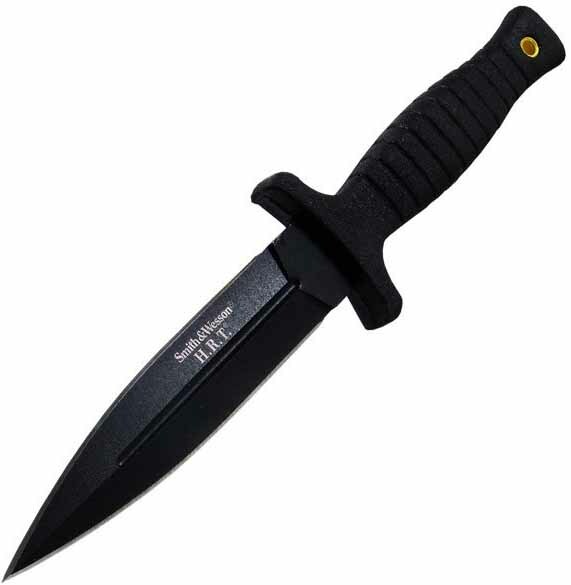 black 7Cr17 high carbon stainless steel blade, 9.00 in. overall length. Comes complete with a leather sheath.